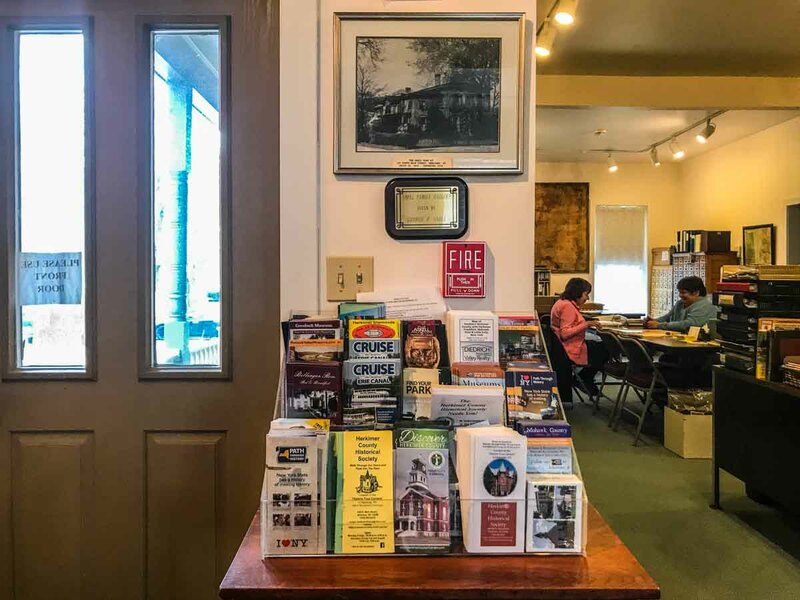 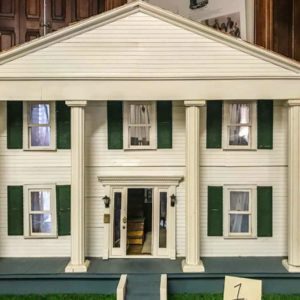 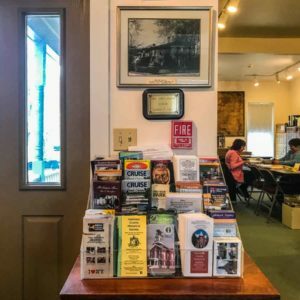 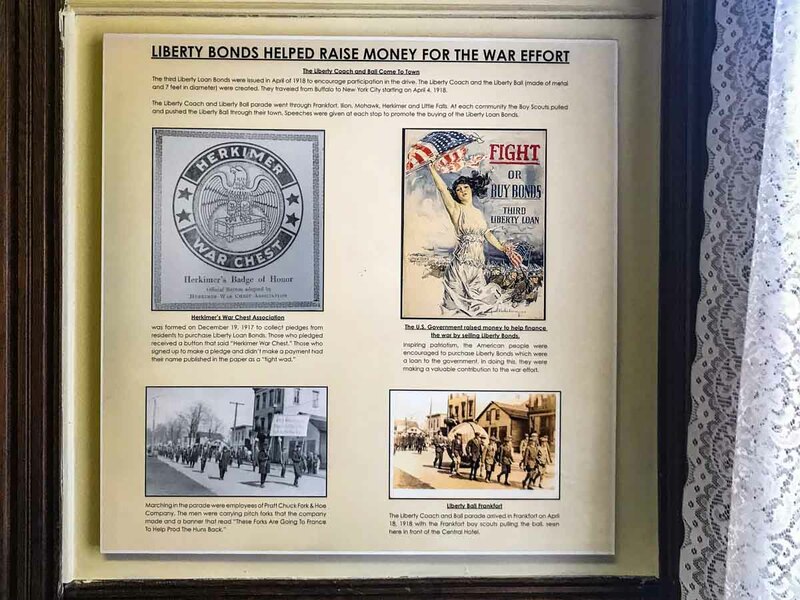 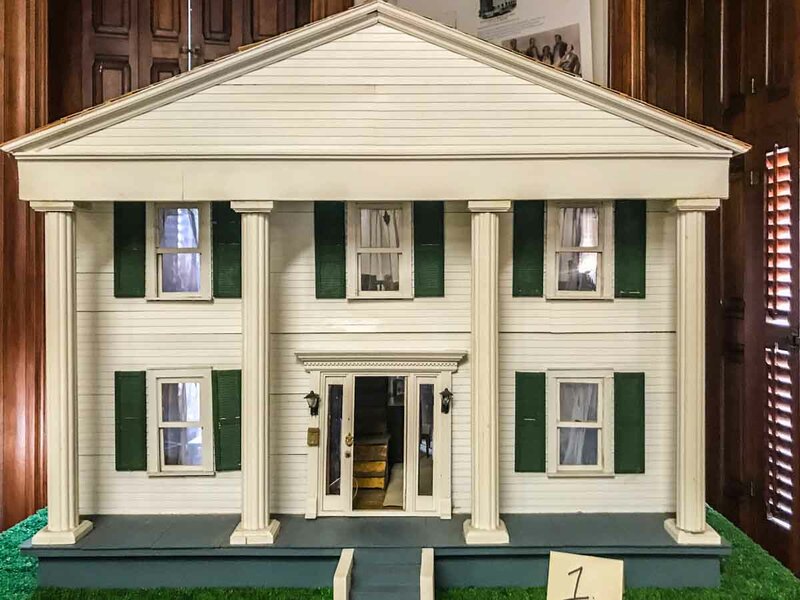 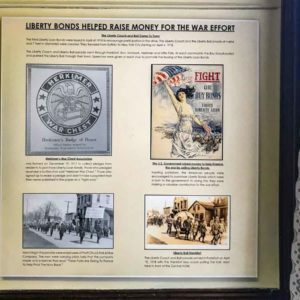 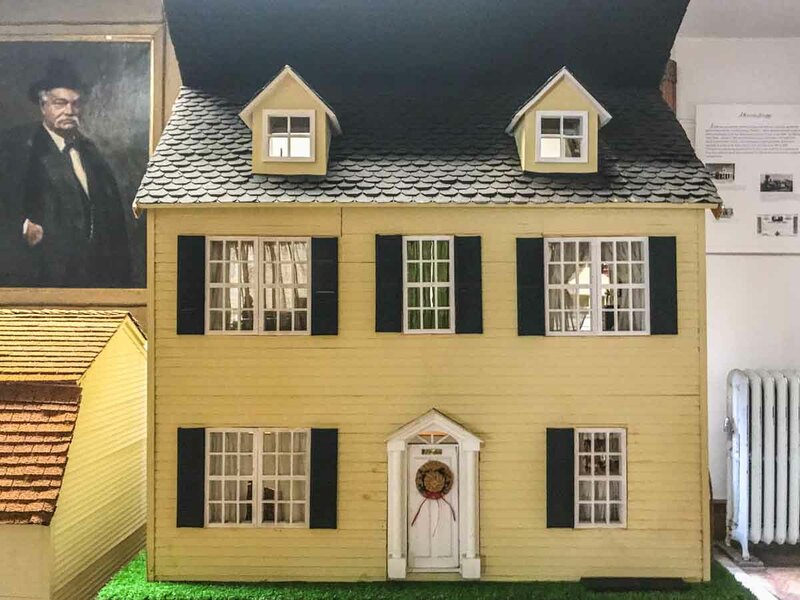 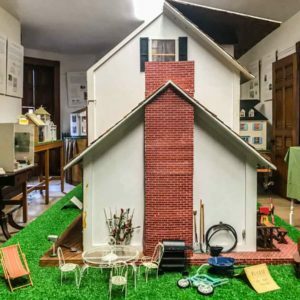 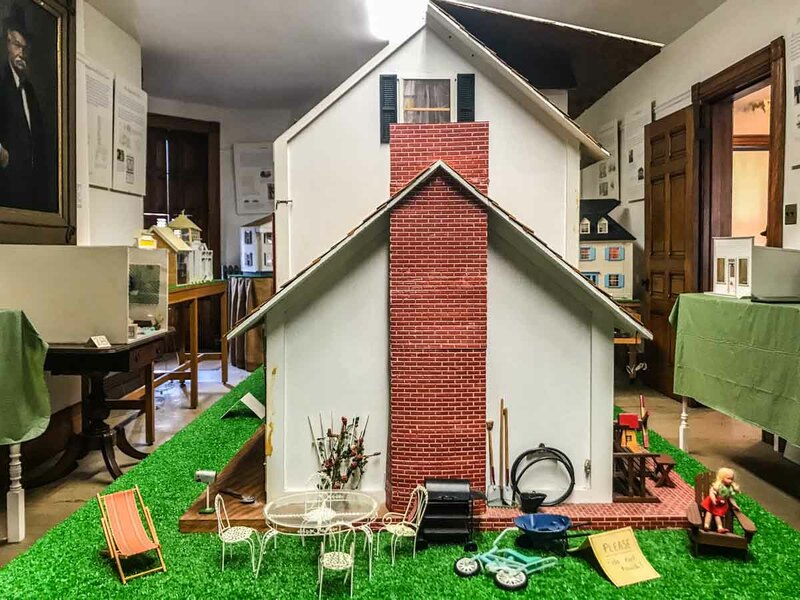 The Herkimer County Historical Society is made up of staff and volunteers that catalog and maintain the collections, conduct research, and support historical events. 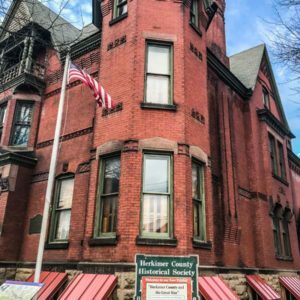 Take a look at becoming a member of the Herkimer Historical Society. 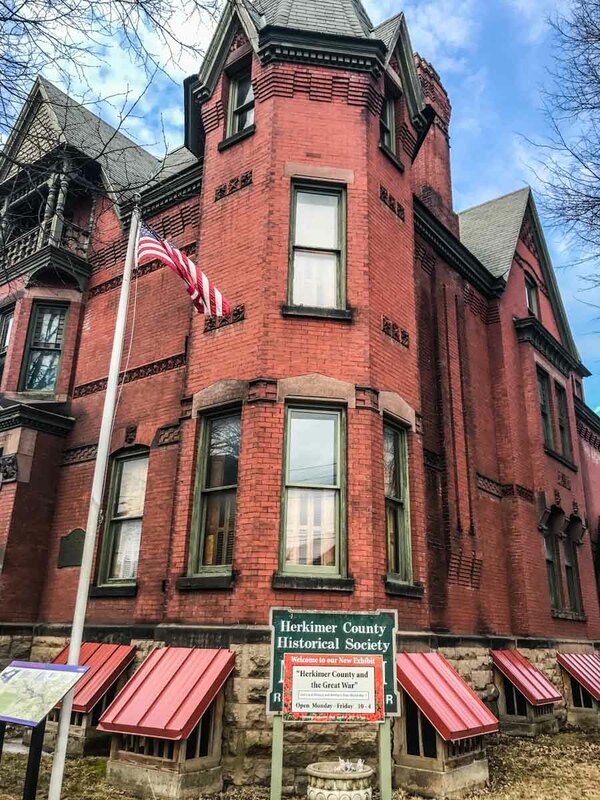 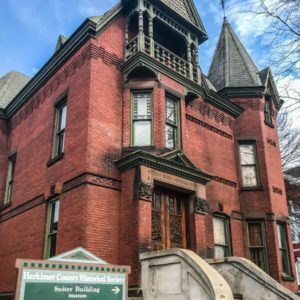 The Historic Four Corners is composed of the 1884 Herkimer County Historical Society Suiter Building Museum, the 1834 Herkimer County Jail, 1873 Herkimer County Courthouse, and the 1834 Herkimer Reformed Church, all listed on the National and State Register of Historic Places. 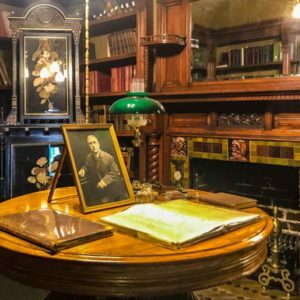 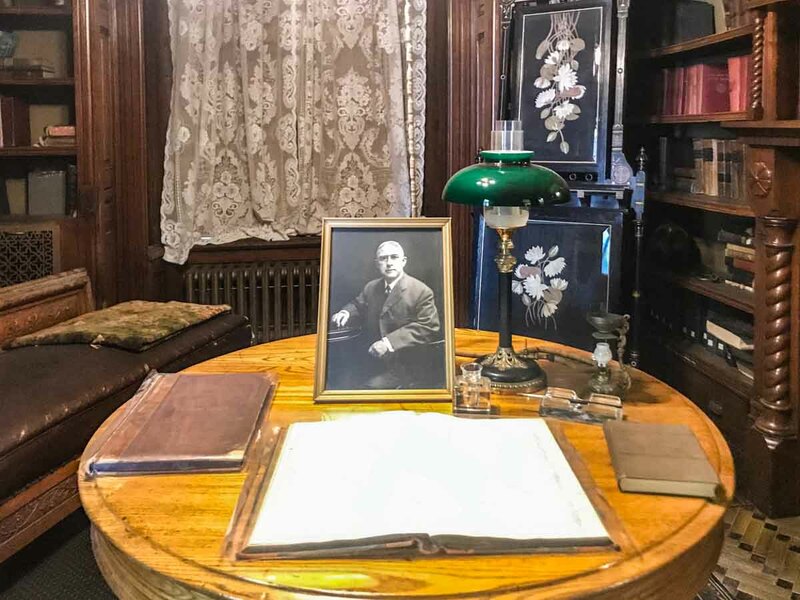 Tours of the Society’s Museum are free and open to the public during open hours of Monday-Friday, 10:00 a.m.-4:00 p.m. and during the months of July and August on Saturdays from 10:00 a.m.-3:00 p.m. Special tours of the other buildings need to be arranged ahead of time. 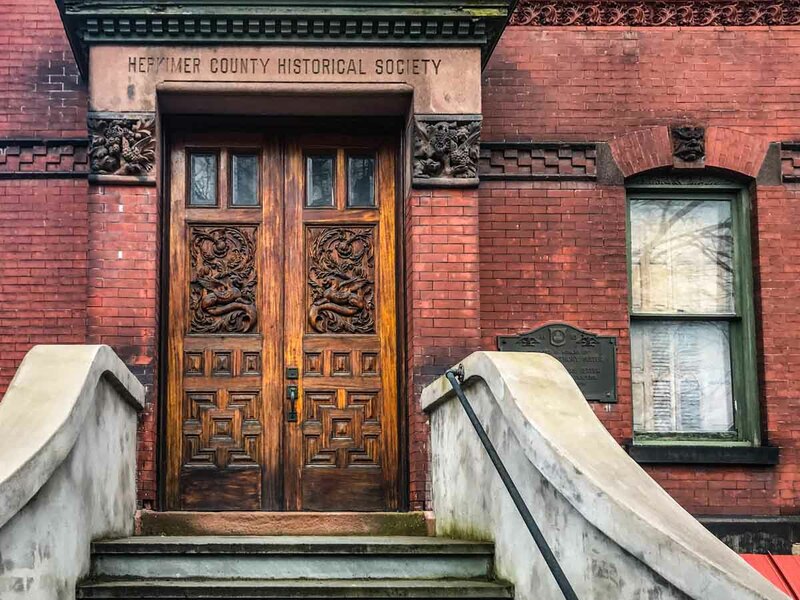 A Queen Anne style building located at 400 North Main Street in Herkimer. 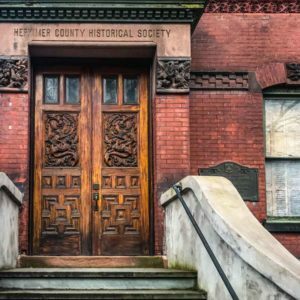 This building was a legacy to the Herkimer County Historical Society in 1925 by Dr. A. Walter Suiter, a prominent citizen and physician. 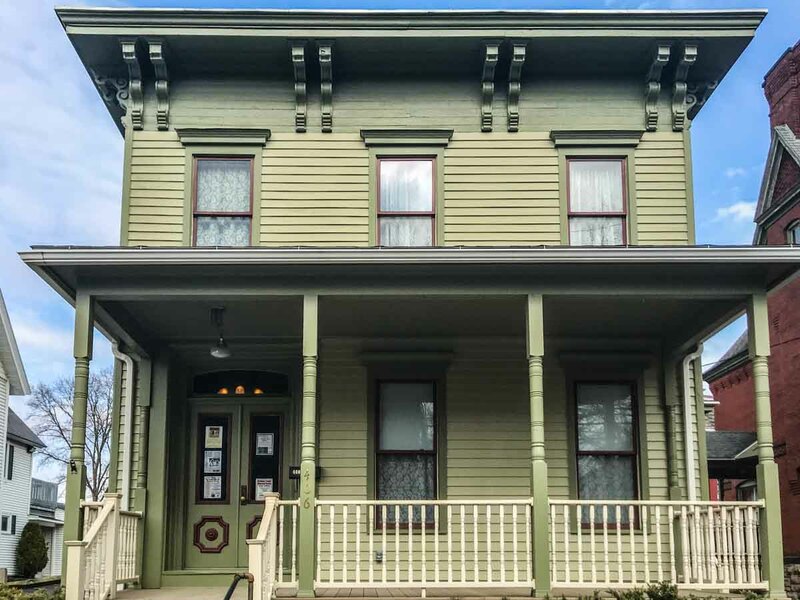 It was named in memory of Dr. Suiter’s father, Col. James A. Suiter, a noted Civil War veteran. 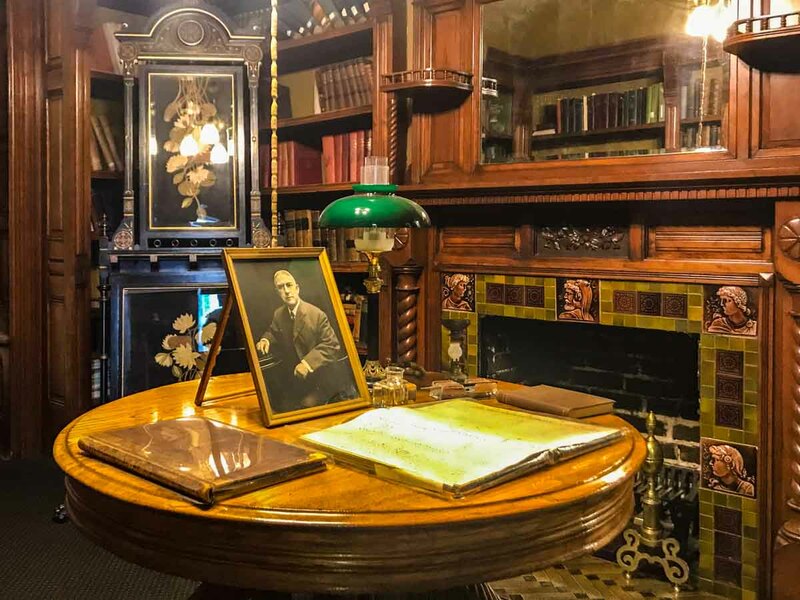 The massive doors which Dr. Suiter ordered for the entrance to his mansion were built of mahogany. 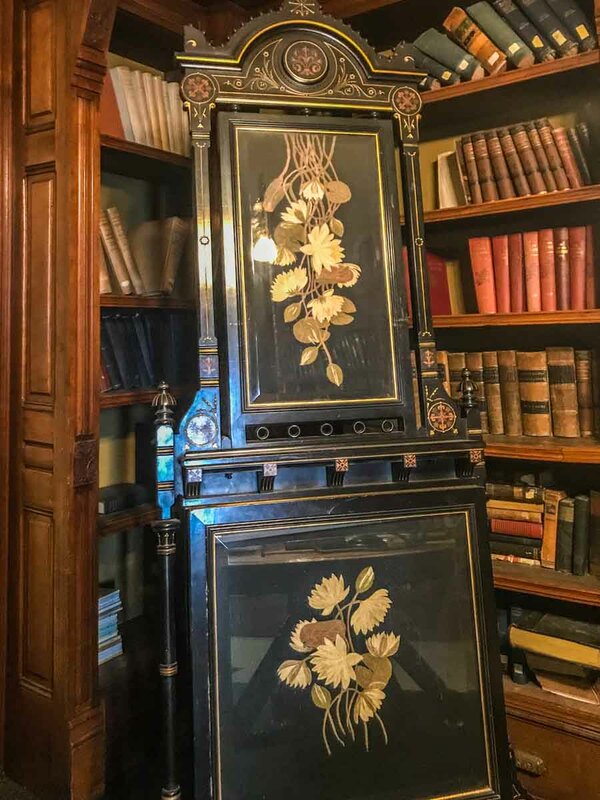 The griffin is one of two which grace the ornately carved front doors. 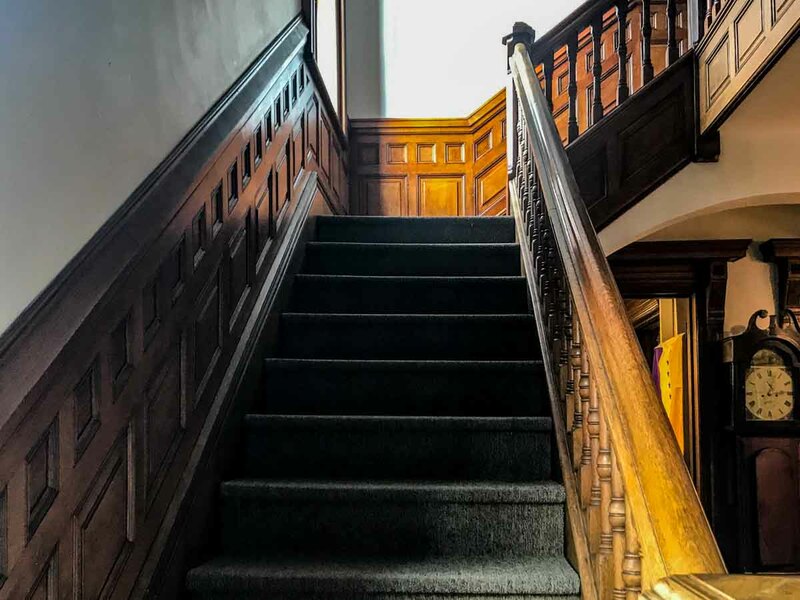 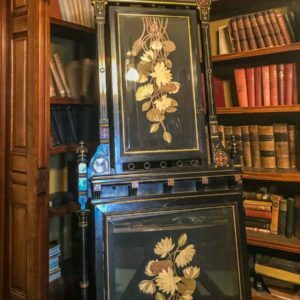 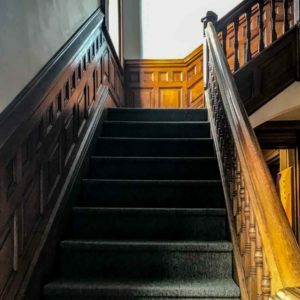 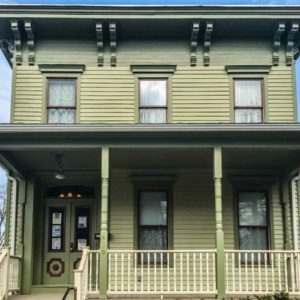 The interior architectural elements are fashionable for the 1880’s and include decorative hinges, burl veneer door panels and rectilinear banisters and newel posts with incised decoration. 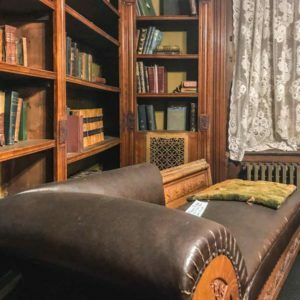 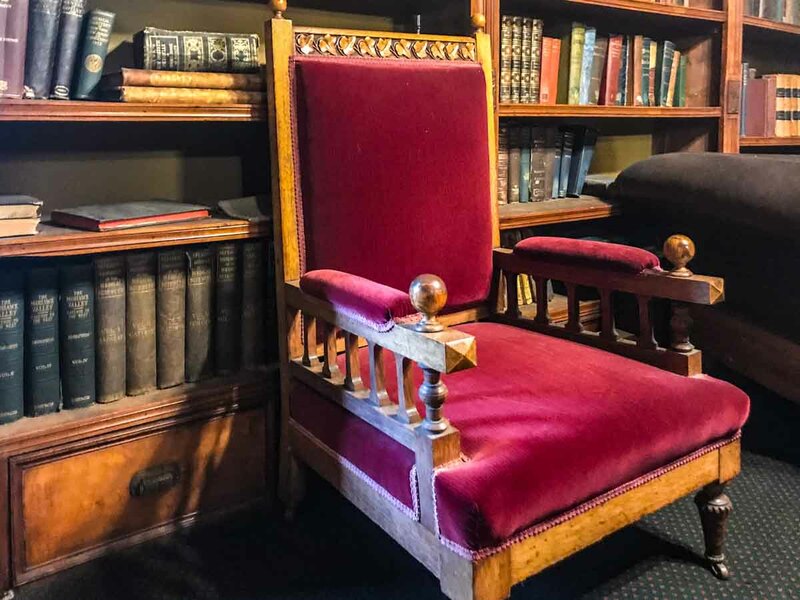 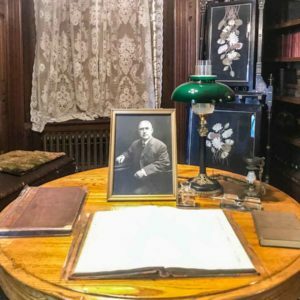 One room in the Suiter building depicts Dr. Suiter’s library with his record books, round oak table and other artifacts that would have been in a library in 1884. 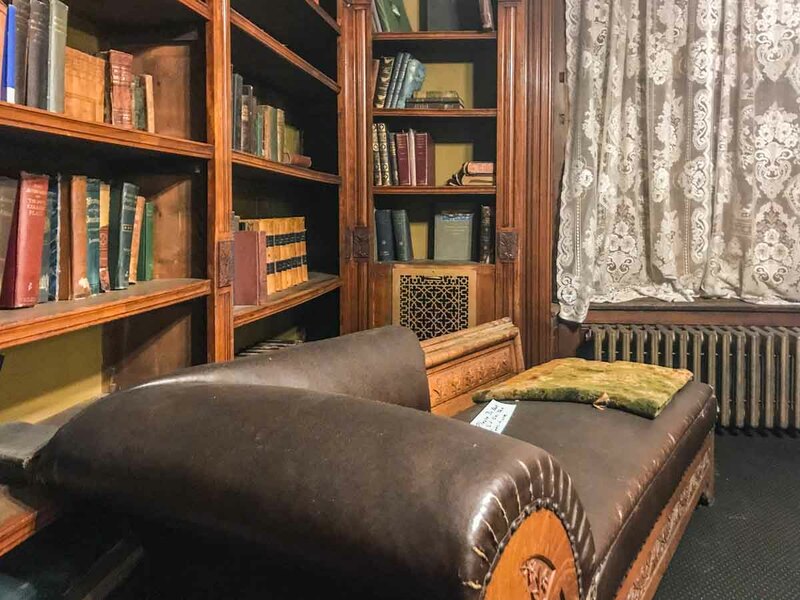 The style of the library is Eastlake with a beautiful tiled fireplace with etchings of Greek gods and goddesses with a mahogany mantel. 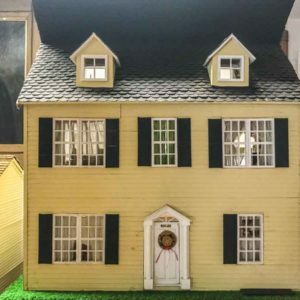 An interesting fact is that the house was never lived in. 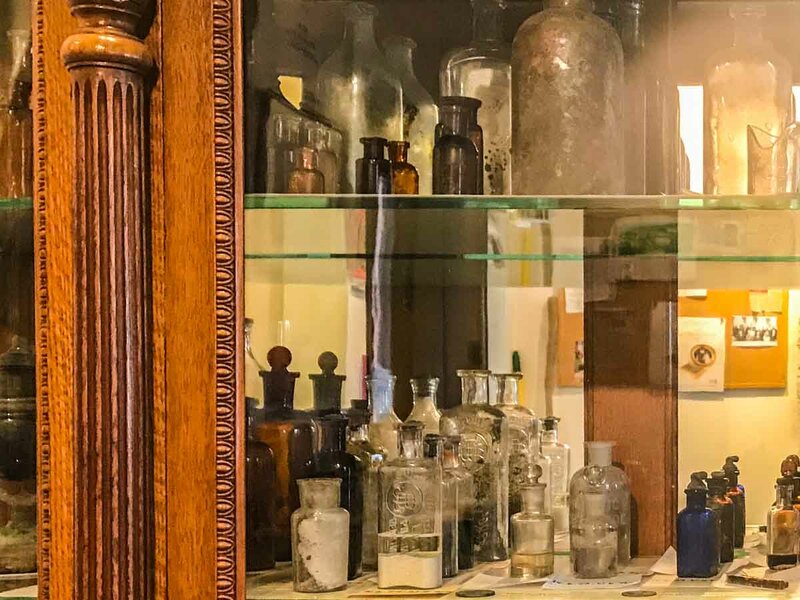 It was used by Dr. Suiter as his doctor’s office, waiting room and his library. 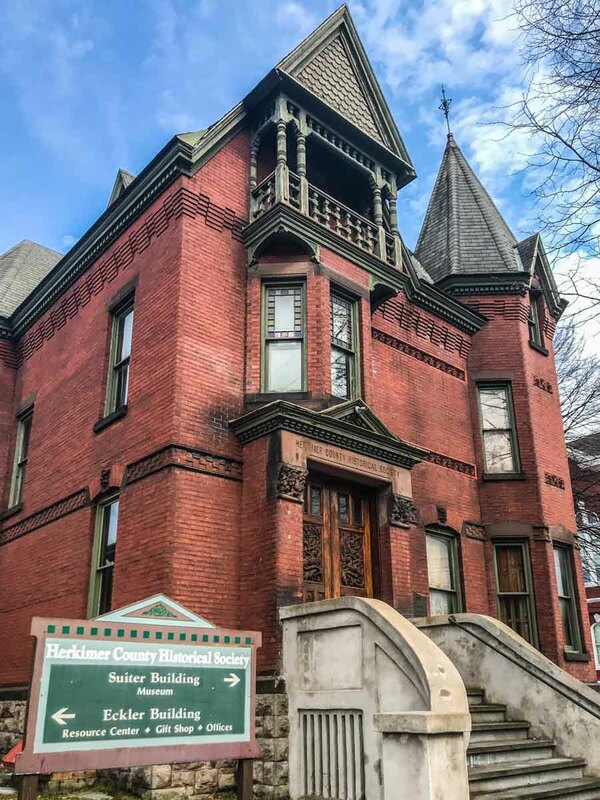 Housed in this building is a free exhibit designed to be self-guided or you can ask for a guided tour. 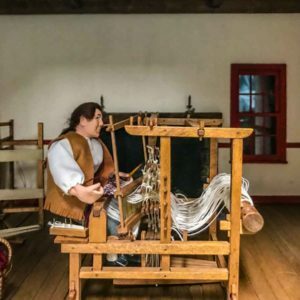 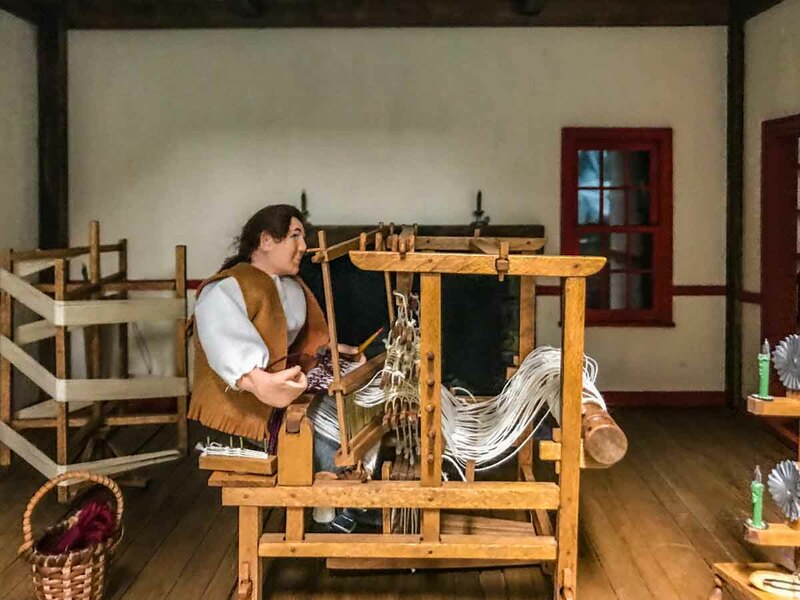 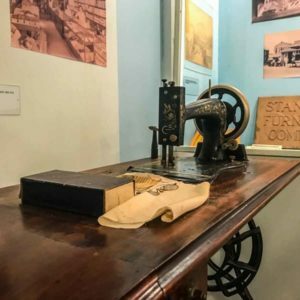 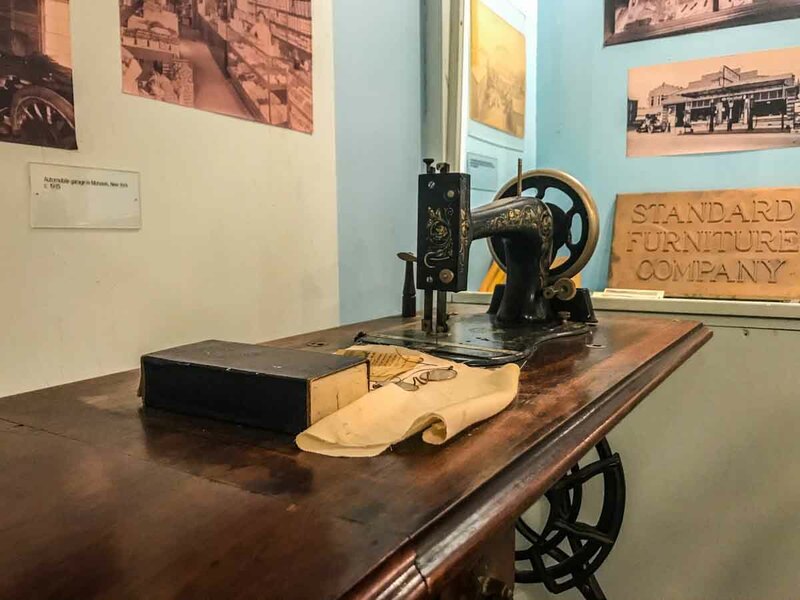 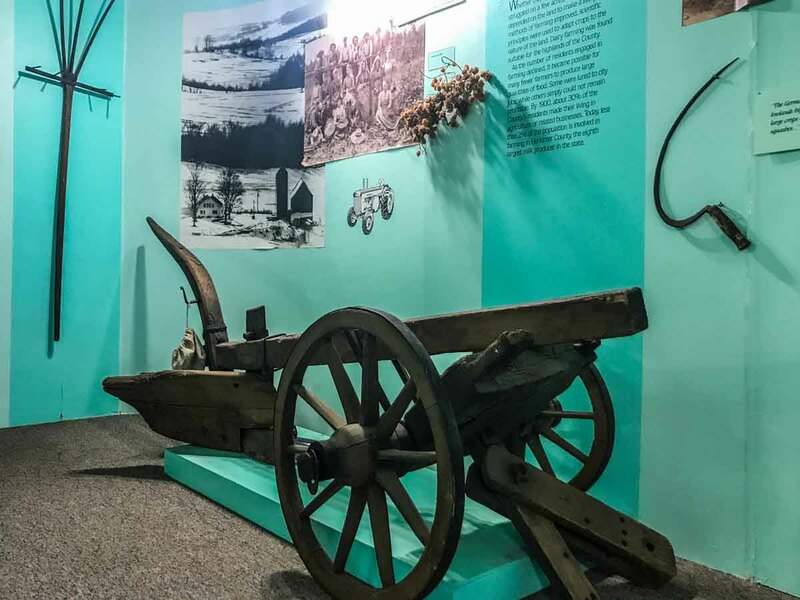 Currently the permanent exhibit is “All In A Days Work: Working People, Working Lives.” The exhibit covers four rooms and features displays on early settlers and transportation, agriculture, industry and domestic life in Herkimer County. 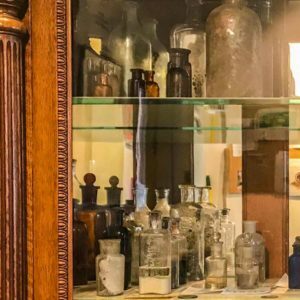 The artifacts date from the 1700’s to the 1990’s. 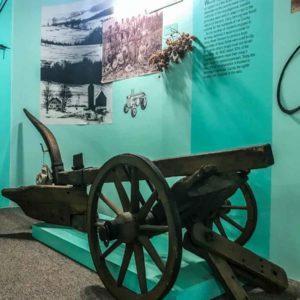 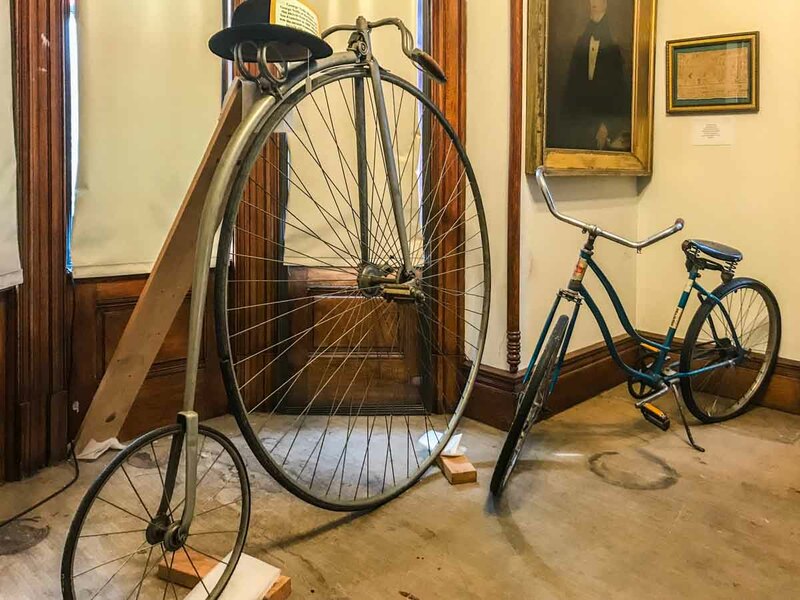 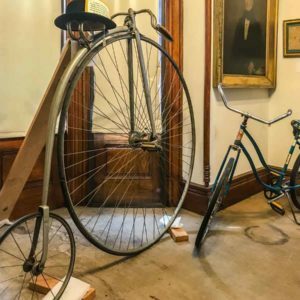 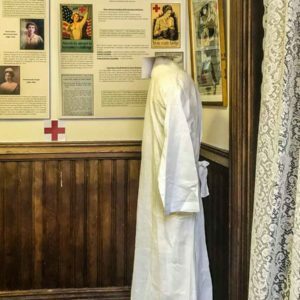 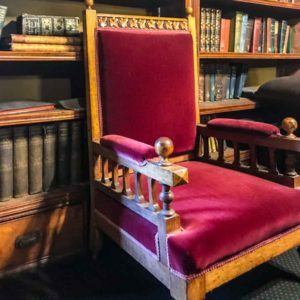 From the research room, to the Suiter's Museum, there is a lot of local history to discover at the Herkimer County Historical Museum. 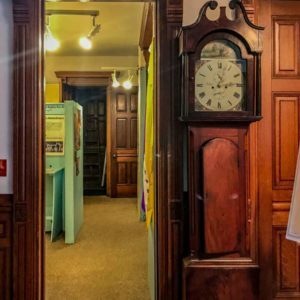 From walking in the door, we were greeted warmly and welcomed in to find out more about our area. 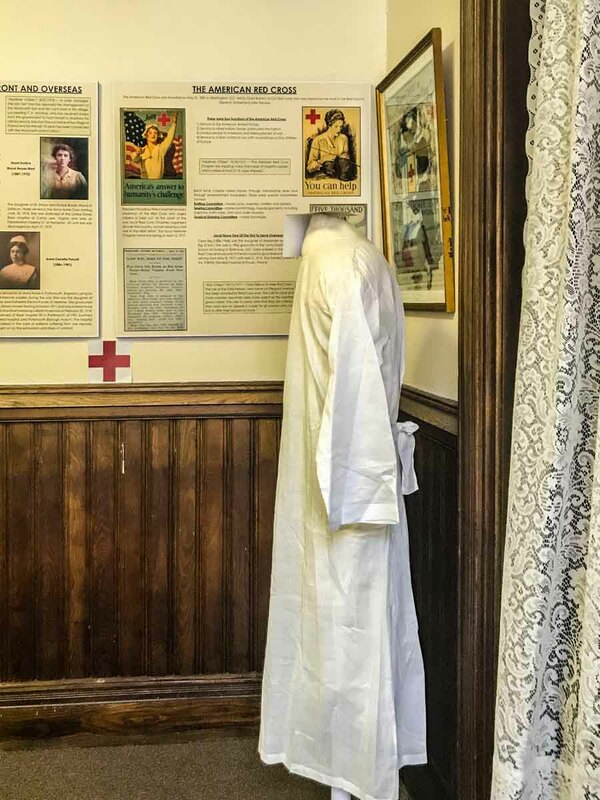 In the Suiter Museum, we learned about Dr. Suiter in addition to how local residents were an integral part of history. 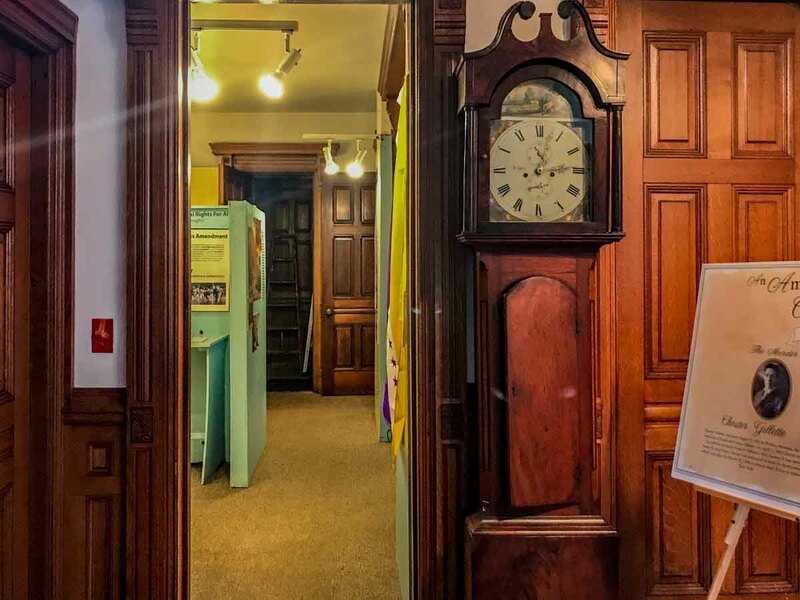 We greatly appreciated our time at the museum and you will, too.